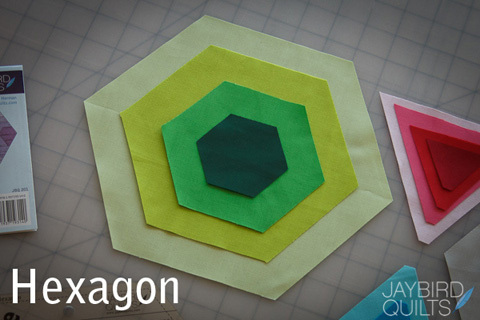 Last week I showed you how to cut 60° Triangles & Half Hexagons. 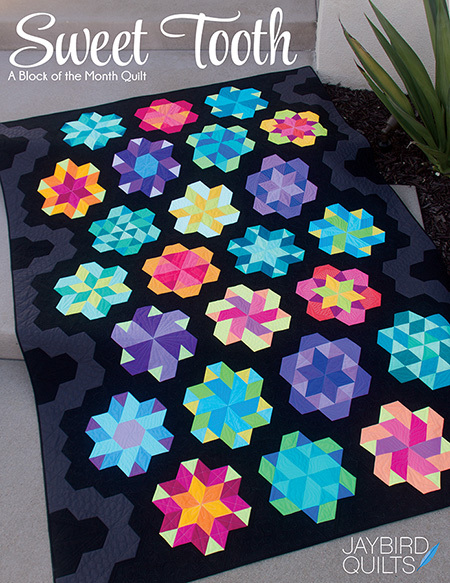 The next shape we are doing to cut is the Hexagon. 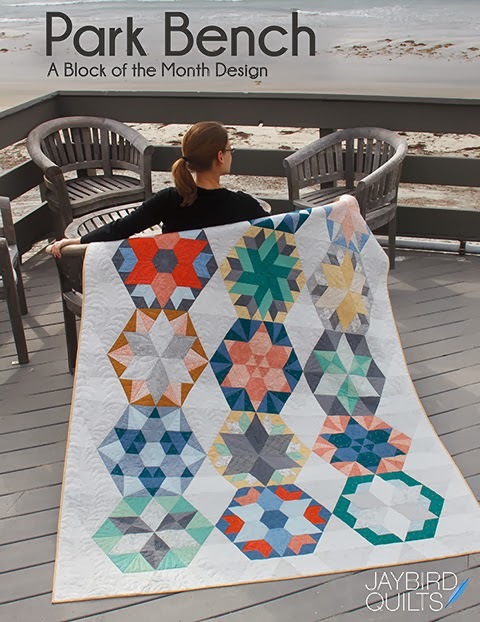 The Hex N More can cut four sizes of Hexagons. The measurements are based on the height of the hexagon. 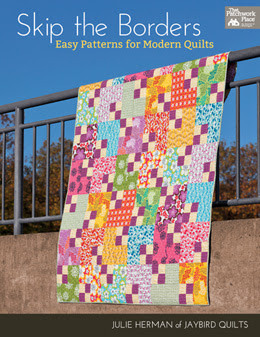 This makes rotary cutting the hexagons from strips simple & easy! 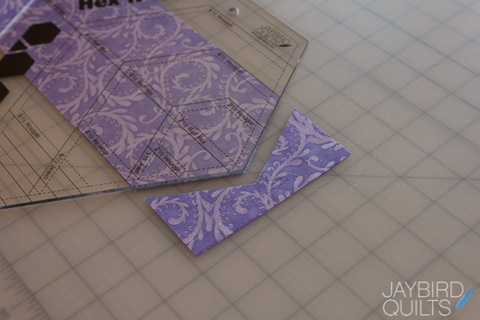 With today's tutorial I'm demonstrating how to cut a 4" Finished Size Hexagon. 1. 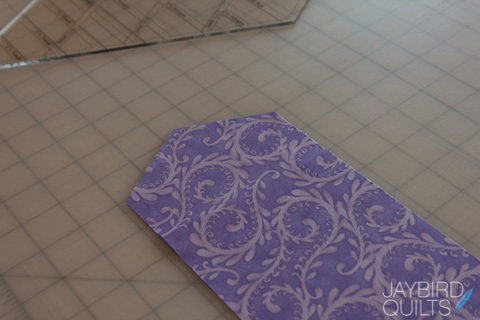 Start with a 4 1/2" x width of fabric strip. 2. 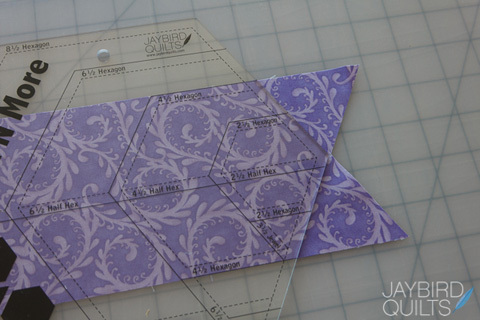 Place ruler as shown aligning the fabric strip with the solid horizontal 4 1/2" hexagon lines. 5. 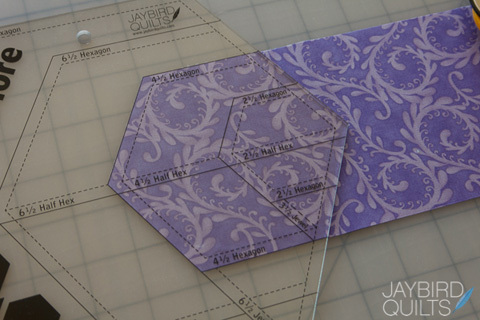 Align cut edges with solid 4 1/2" hexagons lines on ruler. 7. 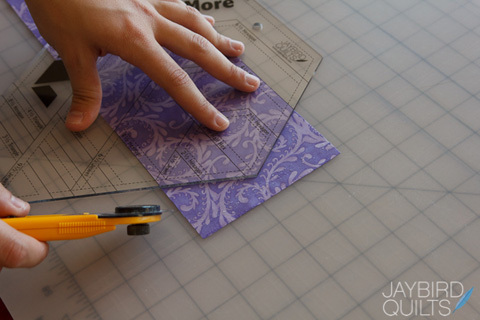 Turn strip around 180° to cut the next hexagon. Align solid horizontal 4 1/2" hexagon lines. 8. Cut along right edge of ruler to trip strip. 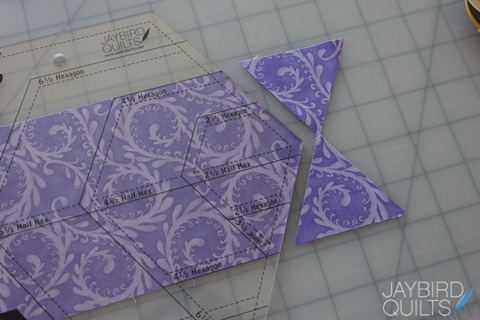 Discard triangles or cut small 1" triangles for another project. 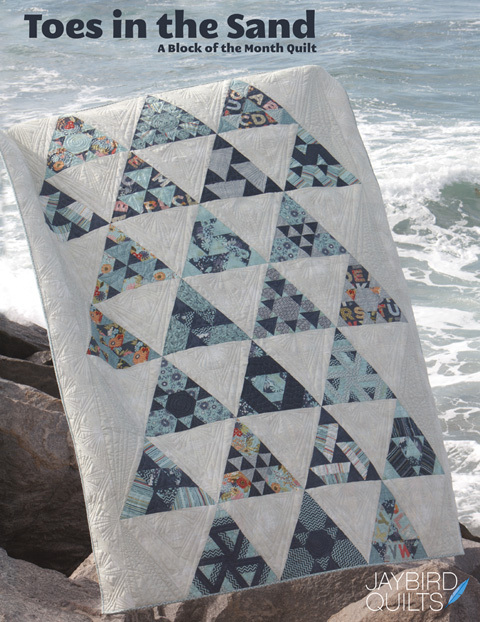 Repeat steps above to continue cutting hexagons along the strip. 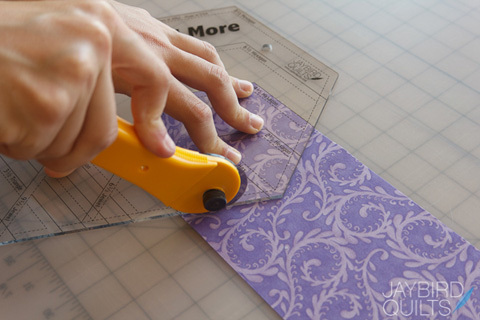 The same 4 1/2" strip can be used to cut multiple shapes. 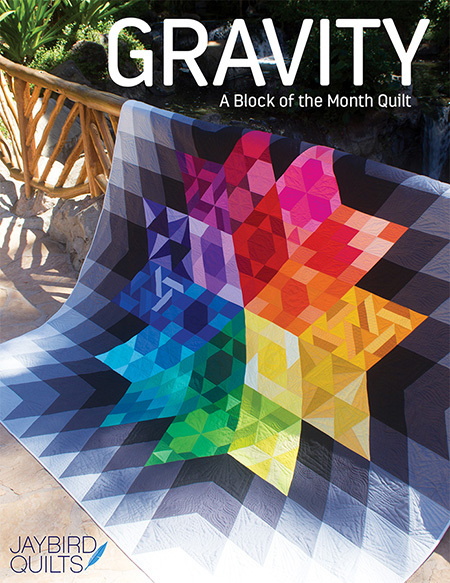 You can cut a 4" Hexagon, 8" Half Hexagon and a 4" 60° Triangle. 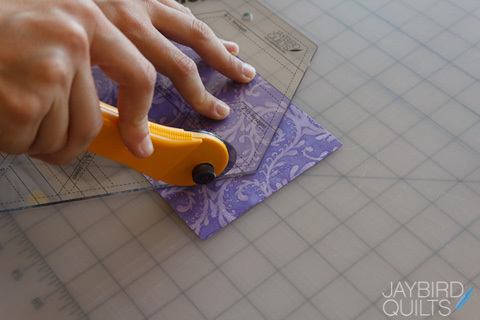 This is a great ruler Julie, where can I buy one? Opts, Skip the Borders" that darn auto correct! 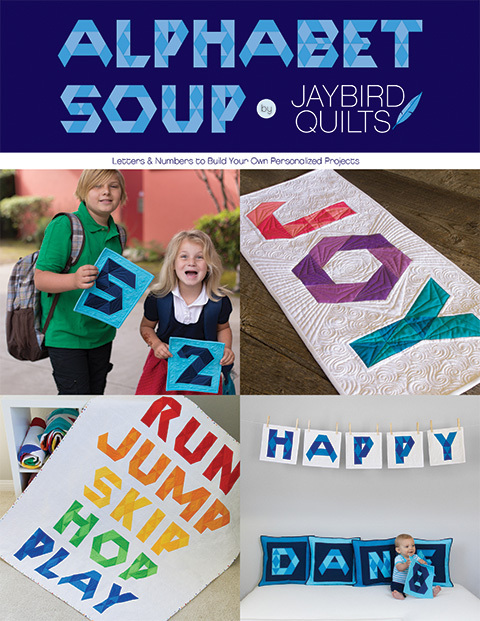 Made my Borders "Orders"
Great tutorials Julie. 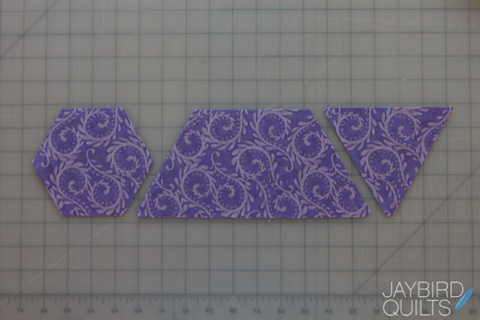 And I like showing the 4 pieces cut from the same strip like this. 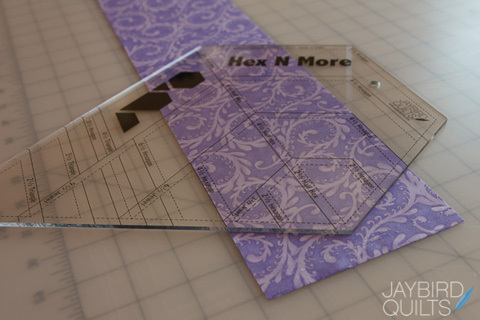 This ruler is great.I`ll need one to my hexies so I could forget the cards when I draw my hexies patterns.Thanks for the tutoeial! Your tutorials clearly take you step by step though the process, clearly and with great photos. Awesome tutorial as always Julie. Thank you. thanks for the tutorials just recieved my ruler cant wait to get started. Another great tutorial..thanks. I know have my ruler too and I look forward to using your tutorials because you know I can't read directions worth a hoot. Looks like a ruler I need I am giving in to the Hexie craze and was looking for a ruler to be able to cut them out.